It’s the week after New Years and I needed some mid-week encouragement. Spirited Table’s Eat 60 campaign includes a healthier way to eat without compromising your 60 minutes a week, eating time together. Leftovers help preserve that timeline immensely. So…here’s a way to satisfy your family members with a dish that can adapt to the lentil lovers and the non-lentil lovers. Ingredients - I used the veggies I had, so you do the same. No need to mess up a bowl-all mixing occurs in the pan. Sauté the onions for 3-4 minutes. Add celery and carrots and let simmer for about 5 minutes. 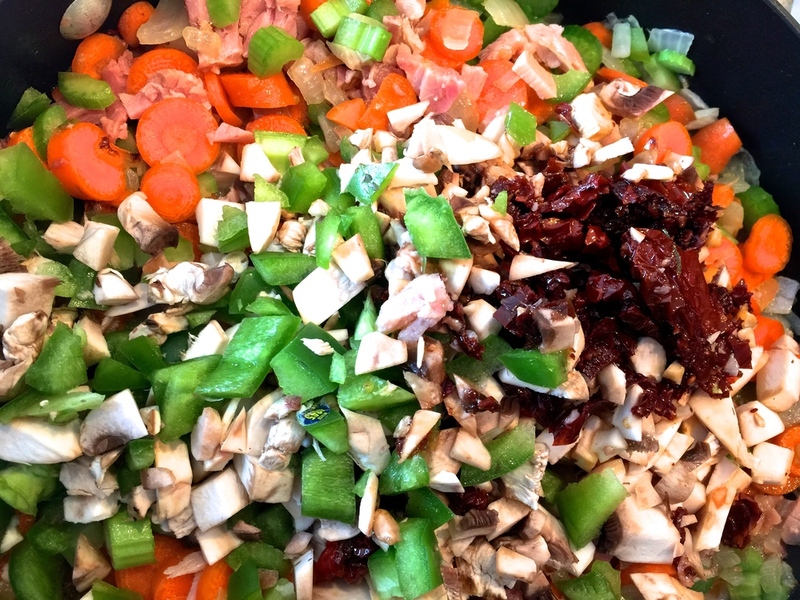 Add the ham/turkey, mushrooms, bell pepper and sun-dried tomatoes and cook for about 5 more minutes. 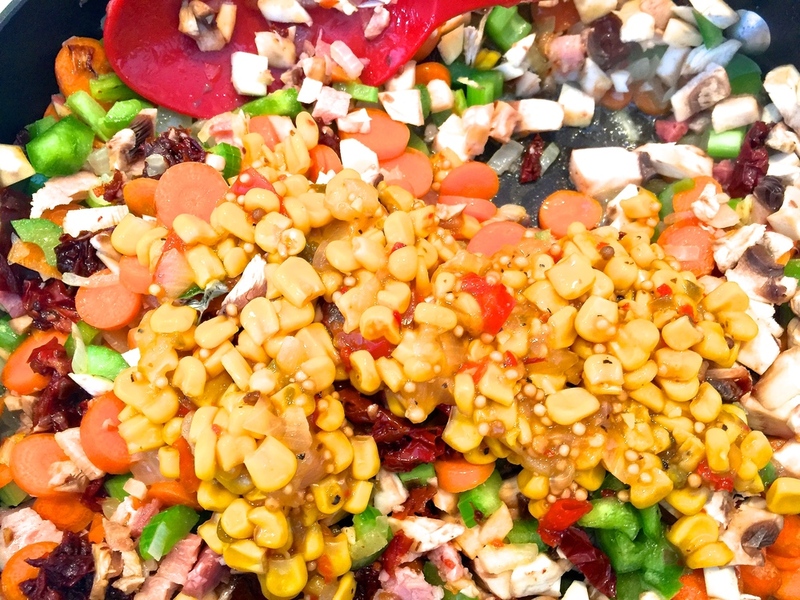 Add the rest of the ingredients and allow the flavors to mix for about 8-10 more minutes on a low heat. The Trader Joe's lentils are shrink wrapped and already cooked, so you're just heating them up. If you’re preparing for family members that don’t like lentils, cook all the ingredients, except the lentils, then extract a portion of the mix for them; pour their non-lentil veggies over cooked brown rice. You’ve got left-overs with and without lentils to keep everyone on the healthy plan. I love Golden Fig's spices and my current favorite is Sel de Cuisine; it literally improves every dish it touches.